Mr. Rupp is a member of the firm’s Intellectual Property and Litigation sections. 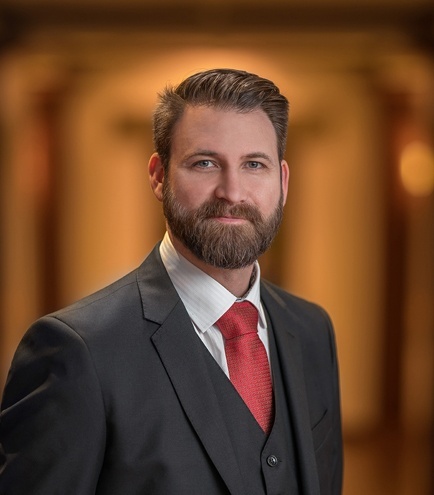 His practice focuses primarily on complex litigation of all intellectual property matters, including patent, trademark, trade dress, trade secret, copyright and false advertising cases. He also has significant experience in commercial litigation, as well as experience representing and counseling clients in mediations and other alternative dispute resolution proceedings. Mr. Rupp has handled cases in many courts throughout the United States. He has worked on cases representing a broad spectrum of diverse technologies such as fiber optic communications, mechanical devices, electronic equipment and devices, apparel and fashion products, software products and many others. Mr. Rupp is also a registered patent attorney representing clients before the United States Patent and Trademark Office and the United States Copyright Office in securing domestic and international intellectual property protection under patents, trademarks, and copyrights. He has experience assisting clients with the development of their intellectual property portfolios in view of tried business strategies, including licensing and other business savvy intellectual property investments. The University of Utah, S.J. Quinney College of Law, J.D.